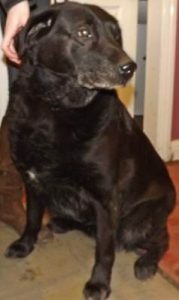 Black Labrador found 10/01/2017 in Lowton around 9am Female. Has a distinctive collar. Finder happily retaining the dog. Please contact us on 01942 671215 if you are or you know the owner. PLEASE NOTE THE DOG IS NOT HERE WITH US. This entry was posted in Uncategorised on 10th January 2017 by admin.